Here is the first of our Thursday Grammar. Do you know the difference between the two words “ki” and “kia”? Both mean the same English preposition word “to”. Read carefully the information above and fill in the blanks. Is it “ki” or “kia”? ‘Ave _____ Sione. Give it to John. Na’a’ ke lea _____ Mele? Did you talk to Mary? ‘Alu ____ he falekoloa’ Go to the shop. Na’a’ ke falala _____ Tomasi? Did you trust Thomas? Foki ____ ‘api. Return home. Sio ____ he faiako’. Look at the teacher. Hope this helps you. Leave a comment and share with those who do not know the difference. Best poetic memorial stone: Ko hai au ke u tuhu ki he laʻaá? 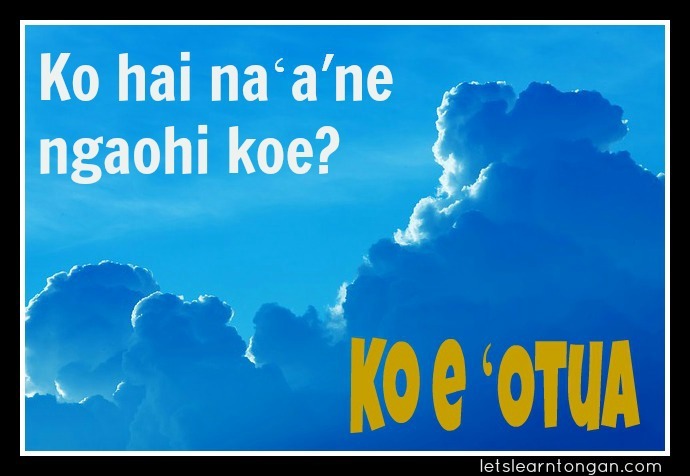 KO HAI AU KE U TUHU KI HE LAʻAÁ? This has to be the most beautiful poetic memorial stone/ bench I have come across. 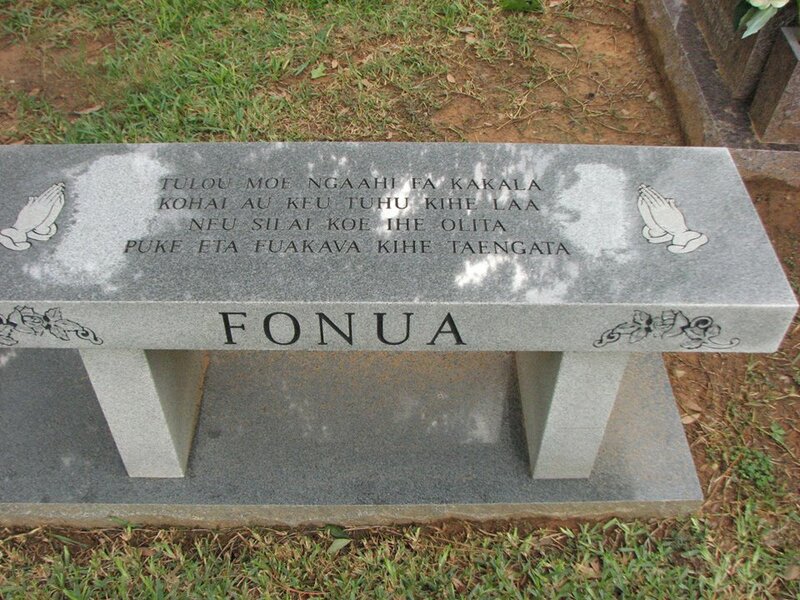 Ok some background knowledge you may need in understanding the beauty of this memorial stone for Tony Andy Fonua (1955-2004). WHO AM I TO POINT AT THE SUN? One of the few memories I have of Sunday school back in the Kingdom is the fehu’i mo e tali that kids learn at Siasi Tonga Tau’ataina. I loved hearing it because the answers were always said back in a tune chant like manner which made it easy for kids to learn off by heart. Here are some of the first basic questions that all the children learn at Sunday School about God. I often out of the blue ask these simple questions of my kids as a reminder of Gods presence and love for them. And always good to practise as much Tongan as possible with them. These are also great basic questions that you can use to build your vocabulary and ask other questions. Who is God? Our Father in Heavan. Where is God? He is everywhere. 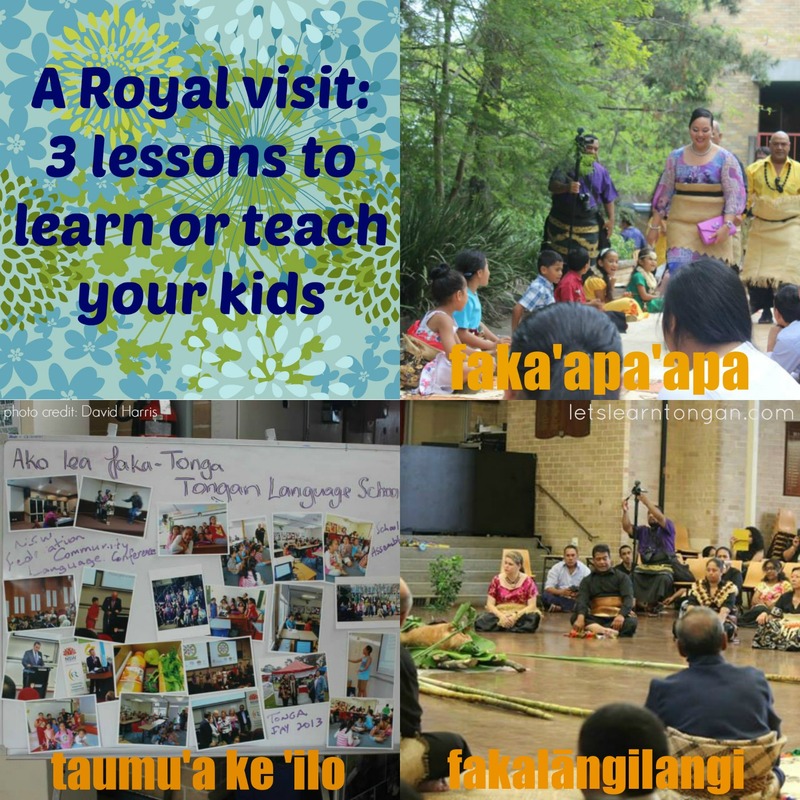 On the 15th of March, I as a student and a parent of two joined the Tongan Language School here in Sydney to welcom the daughter of King Tupou VI, Princess Angelika Lātūpfuipeka to our School. So what! What is all the fuss about you say? 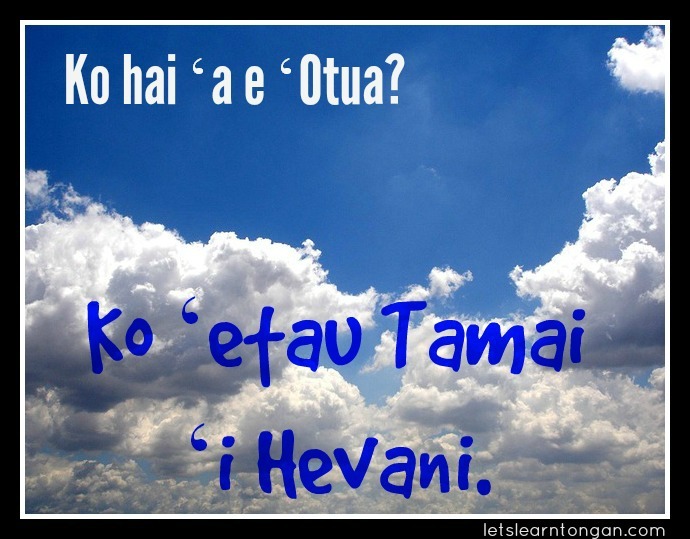 Well 3 Tongan words sum up the significance of this occasion and the lessons I would share with my children. I want my kids to live a life of respect. We may not see the Princess every day but we can show respect to our parents, our siblings, our fahu, teachers and elders. Sitting on the mat was one way the children were showing their respect for the Princess. I want my children to show respect and honor in order to receive it. The highest honor the Tongan Language School could give the Princess is the ‘ilokava (royal kava ceremony). And in honoring her, I was also honored to take part in the Royal kava circle. As a woman and a commoner to take part and to use my family matapule name was like having a title bestowed upon me and having my mother and all my ancestors sitting there with me. To have the knowledge of why things are done like the kava ceremony and the origin of the fuakava (the first kava) connects me to my language, my family and my roots and seeing the ‘ilokava happen before my eyes was a surreal moment in my life. Whether it be a royal visit or a family gathering or funeral, we can show respect, we can honor and we can learn at the same time. In this modern world, where respect is fading fast, the Tongan culture of respect and family makes more sense than the celebrity all-about-me culture. I want them to aspire more to the Tongan culture rather than the celebrity culture. 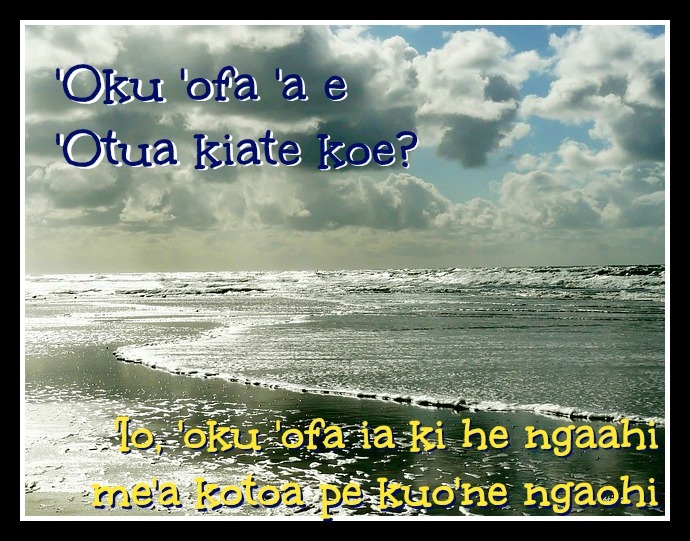 ‘Oku ‘oatu ‘ae popoaki talamonū faka kilisimasi ko eni kiate kimoutolu kotoa pe ʻi he tapa ʻo e koloape. ‘Ofa ke mou ma’u ha Kilisimasi fiefia mo faka’ofo’ofa ‘o hangē ko ho’omou feitu’u faka’ofo’ofa pea tauange ke tau ‘inasi ‘i he fiefia tatau ʻi hono fakamanatua ‘o e ‘aho ‘Alo’i. 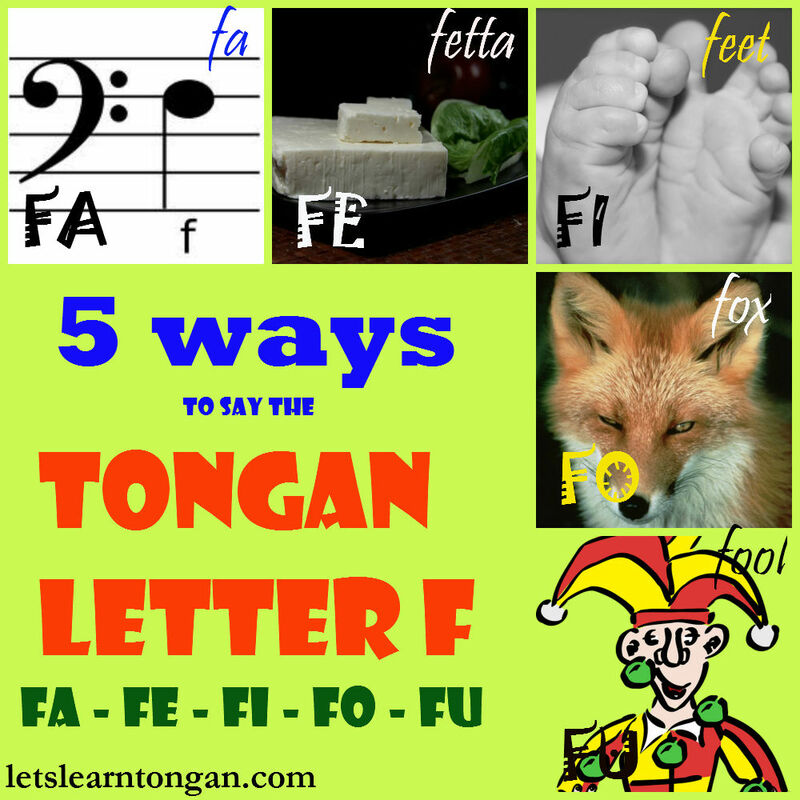 Tongan is a phonetic language – say it the way you read it. 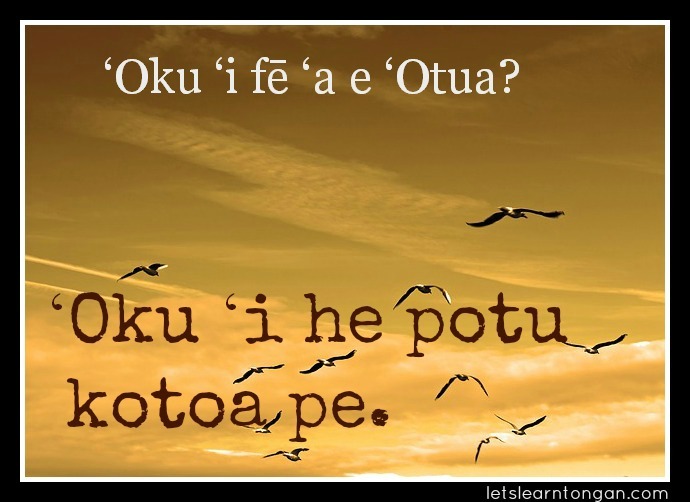 Take your ʻEnglish languageʼ hat off when you are learning Tongan. There are no silent letters, therefore do not get caught up by second guessing yourself about how to pronounce each letter. Remember the rule: Vowels always follow a Consonant. Look for the VOWEL following the consonant which will tell you how to pronounce the syllable. fēfē? = how are you? 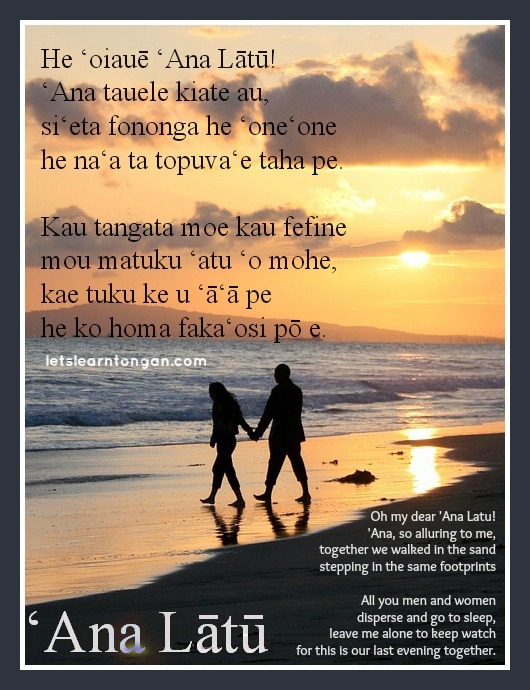 Mālō ho mou meʻa mai kihe peesi masiva ko ʻeni. Koloa pe ʻe lava eni ʻo tokoni kiate koe mo hoʻo feinga ke fakalakalaka ange ʻa e lea faka-Tonga ho mou fānau.